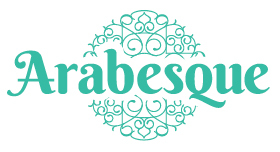 We at Arabesque Florist situated in Maidstone like to make it easy for you to order the ideal flowers, gifts and arrangements for whatever you're needs may be. Everyone is different and with this in mind Arabesque strives to cater to each customers individual preference by providing a full range of options for contacting us or ordering your flowers. Please feel free to browse our broad floral product range in our online shop and place an order online using our secure checkout. Alternatively our customers can contact us via email or by calling us on T: 0800 317 407 where our friendly staff will happily answer any queries you may have. Or perhaps you prefer the personal touch when ordering your flowers in which case we would like to invite you to visit our store situated in Maidstone Kent ME16.